Make your events unique and fun by providing your guest the option to capture their happy faces with a Photo Booth. 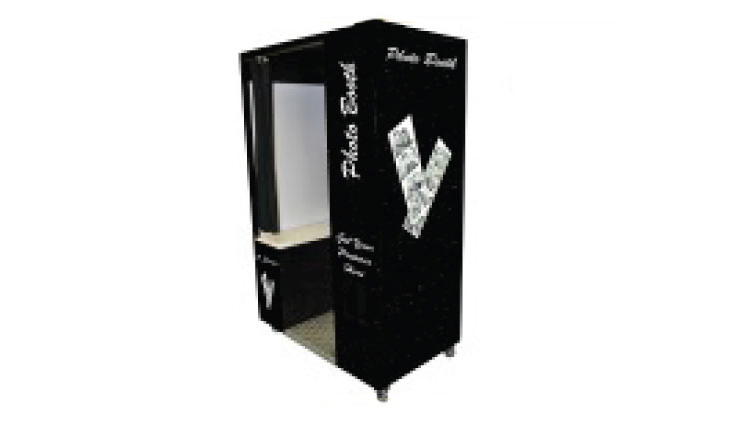 Our Photo Booth is one of the fastest photo booth as it prints and slices in 7.45 seconds. Here are some additional features of our Photo Booth. The Fastest Photo Booth. (Prints &amp Slices in 7.45 seconds means MORE pictures in less time for MAXIMUM FUN!). iPad app allows guests to Facebook, Twitter, Flickr, Email and/or instantly reprint. Customized Welcome Screens &amp Music for every client. Personalized name and logo on photo strips. 4x6 Postcard or 2x6 Strips, Unlimited Formats / Graphics / Backgrounds /Foregrounds. Emails &amp Real Time Facebook Uploads to Individual or Group Accounts from inside the booth. Records up to 30 second live video messages (can upload these to Facebook too!). Automatically makes USB FlipBook Story Teller and copies to the USB stick for the client. 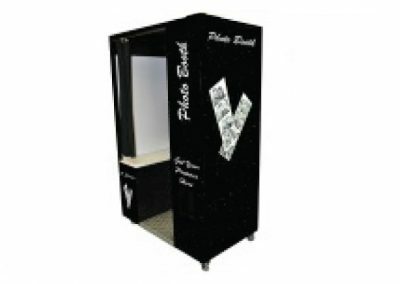 Only Photo Booth in the world that converts from Classic Arcade Style to Open Style. Guest can choose between black and white photo strip or color photo strip. All Prices include Fun Props, On Site Professional Attendant, Scrapbook &amp USB with all Photos Taken. Same Price for Arcade Style or Open Style. If you choose Open Style you can choose from a variety of Backdrops. (Sequence backdrop come in Silver, Gold or Rose Gold or you can choose a black backdrop or a Black/White Damask Backdrop). *Remaining payment will be due two weeks before the event date. Whether your event is big or small, our photo booth is guaranteed to make your event unforgettable and will create memories for a lifetime!! Chair covers N More Inc.